The closure of Fermilab’s Tevatron this autumn will mark the end of an historic era in particle physics. But as physicists continue to comb through data from the Tevatron detectors, the laboratory will continue to pursue a greater understanding of the make-up of the Universe on multiple experimental frontiers. In August 2010, construction crews began installing the roof over the enclosure that will house the NOvA detector. Photo by Dan Traska of Einarson Flying Service. This spring, particle astrophysicists at Fermilab will ship to Chile components of a 570-megapixel camera scientists will install on the Blanco telescope as part of the Dark Energy Survey. The camera will study light from distant galaxies to examine the accelerating expansion of the Universe. Scientists on the Cryogenic Dark Matter Search experiment this year will enlarge their detector, which saw a tantalizing but inconclusive hint of dark matter particles in 2009. Fellow dark matter hunters in the COUPP collaboration will improve their bubble-chamber-style detectors and move them to a well-shielded underground area at Canada’s SNOLAB. Fermilab astrophysicists will study the effects of collisions of high-energy particles with the Earth’s atmosphere at the Pierre Auger Cosmic-Ray Observatory. Scientists on Fermilab’s MINOS, MiniBooNE and Minerva collaborations will continue to tease out properties of the elusive neutrino particle. In 2013 scientists plan to switch on the laboratory’s largest neutrino detector yet. 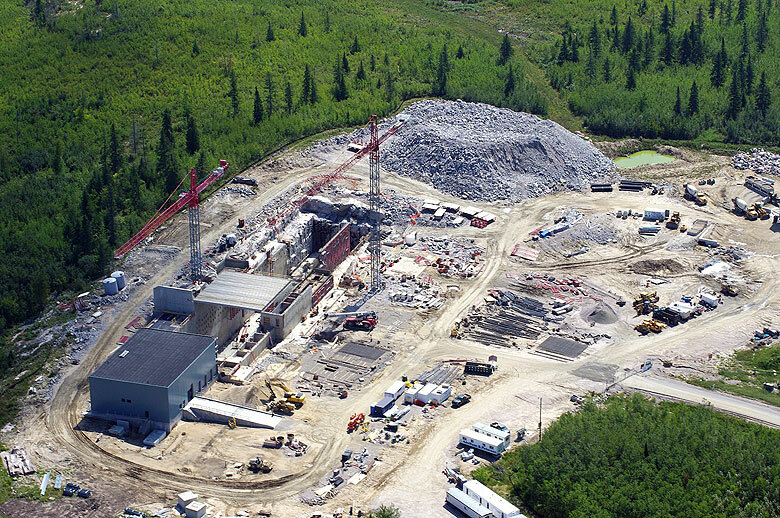 The 14,000-ton NOvA detector will search for neutrino oscillations in a facility currently under construction in northern Minnesota. Scientists are in the stages of planning two additional neutrino experiments, MicroBooNE and the Long-Baseline Neutrino Experiment, and the Mu2e muon-to-electron conversion experiment. As the Tevatron’s 26 years of operation come to a close, Fermilab will continue to pursue physics at the high-energy frontier through its collaboration with CERN. “Fermilab is and will remain a very strong part of the LHC programme,” Oddone wrote. In addition, the US Department of Energy’s Office of Science supports Fermilab’s plan to develop Project X, a proposed high-intensity proton accelerator that would work with parts of the existing accelerator complex to provide beam to muon, kaon and nuclear physics experiments. Project X would use superconducting radio-frequency cavities, a technology Fermilab scientists and their international partners hope to use in future accelerators to succeed the LHC and the Tevatron.